His hashish has earned him celebrity status in the cannabis world thanks to his use of techniques dating back thousands of years. But Frenchy Cannoli, renowned producer of resin, plays down his guru-like status, demurring that he will always have more to learn when it comes to his craft. To this end, Frenchy has been offering workshops and information on how to create his favored method of enjoying the plant — and people just can’t get enough. 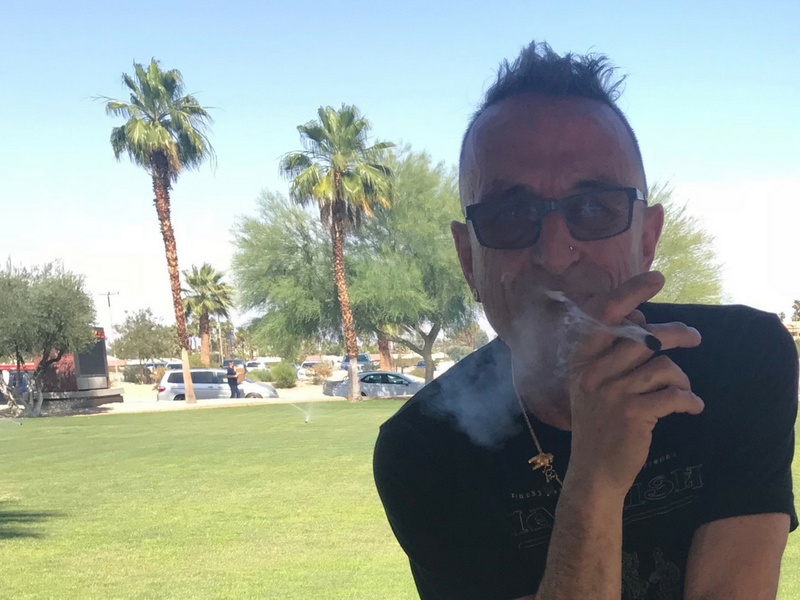 At the recent CannaGrow Expo 2018 in Palm Springs, the “Master Hashishin,” as he’s known, was photographed by punters and stallholders alike, who addressed him with revered voices, soaking up every tidbit of information and advice he dished on producing hashish. 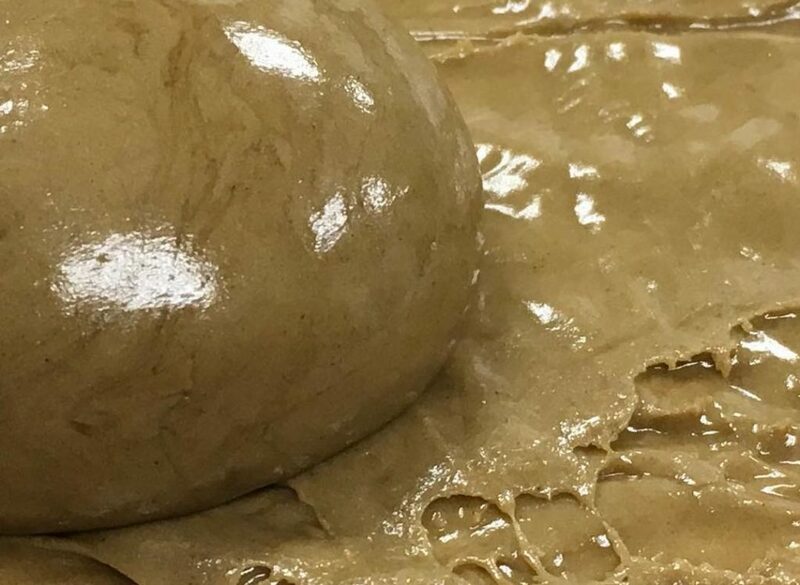 For those not in the know, hashish is created from the moment the essence of cannabis, or the trichomes (which look like tiny little hairs), separates from the plant material itself. This is achieved when the ripe and resinous gland heads that line the surface of female cannabis plants are collected. The process used to achieve resin separation has been practiced for centuries. Frenchy was born in the South of France, but spent his earliest childhood in Gabon, on Africa’s Atlantic coast, where his father was posted for work. Before he was 10 years old, 68-year-old Frenchy and his family returned to France to live in Nice, where at the age of 17 he first started experimenting with hashish. “My first experience smoking hashish was the discovery of the smell and taste of the exotic countries I had read about and been dreaming to visit. I had never laughed and felt the joy I experienced after smoking my first joint of Moroccan hashish,” Frenchy recalls, adding that he immediately fell in love with the resin — which was a dangerous thing to do at the time. Now based in California, Frenchy traveled the world extensively in the 1970s and ’80s; he has yet to make a complete list of all the countries he’s visited, but it’s fair to say he’s set foot on nearly every continent on the planet. “I was a total nomad for 18 years solid,” Frenchy says of his global excursions. “I am fascinated by history, ancient cultures, art and cultural diversity. I am also a beach bum, so my travels where mostly around the Mediterranean Sea and in tropical countries. One of his most beloved memories gleaned from his countless journeys involves his time spent learning how to make charas, a hand-rolled form of hashish that has cultural significance in India. 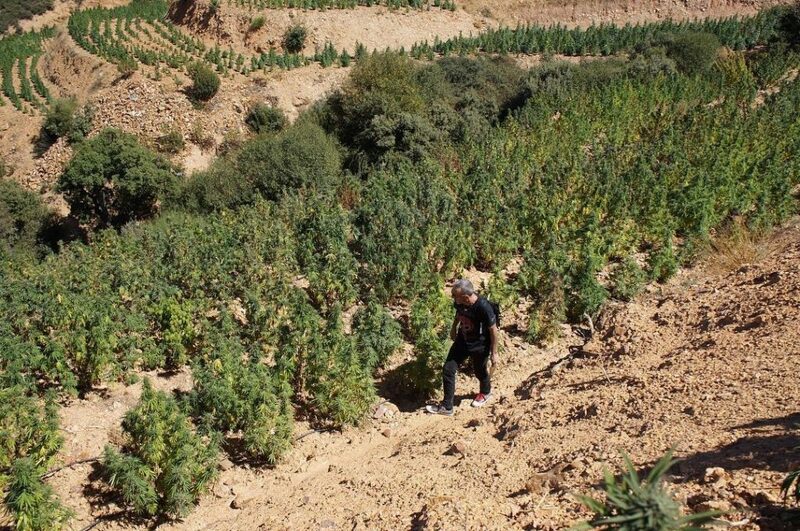 Frenchy, who has a training series called the Lost Art of the Hashishin, remembers, “My second season in the Parvati Valley making charas from wild cannabis plants was an otherworldly experience. The primal feeling of collecting resin on my hands, day after day, in the most breathtaking and isolated valley I had ever been, and the daily adventure of living in the wilderness of the Himalayan mountains, with the most basic equipment [and] in total solitude, was beyond exhilarating. Frenchy is thankful he was able to benefit from the northern Indian state’s teaching and knowledge, which is several thousand years old. Nevertheless, Frenchy says his extensive travels led him to the realization that while the methodology of creating hashish is much the same everywhere, it’s the approach and tools that differ. Giving examples, he explains, “Sieving is an ancient methodology used to separate the chaff from grains and seeds. The oldest archeological artifact related to sieving is a 100,000 years old. Dry sieving was the only methodology used to collect cannabis resin. At the time, I would work alongside my host family making my hashish for months at a time and share their simple life. He even spent time in Nepal, learning how to make royal Nepalese temple balls. Following his cannabis globetrotting, Frenchy gave up his greatest passion, hashish, when he moved to the US for the sake of his daughter Eva. But once Frenchy’s daughter was old enough to head off to college, he started pursuing his passion once again. Ever modest, Frenchy admits that one of the most important things he’s learned in his cannabis career was to admit his own ignorance on the most important elements of his craft, being the resin. 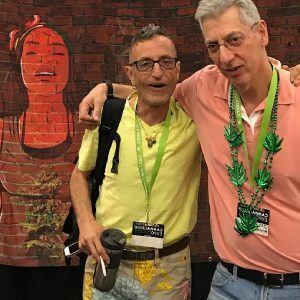 For that reason, he’s happy to share the wealth of knowledge he does possess via his YouTube channel The Cannabis Chronicles, in which he explains and educates people on his traditional hash-making techniques, including the ice-water sieving method. Frenchy says that while he doesn’t consume cannabis for medicinal purposes, he can definitely see its advantages. 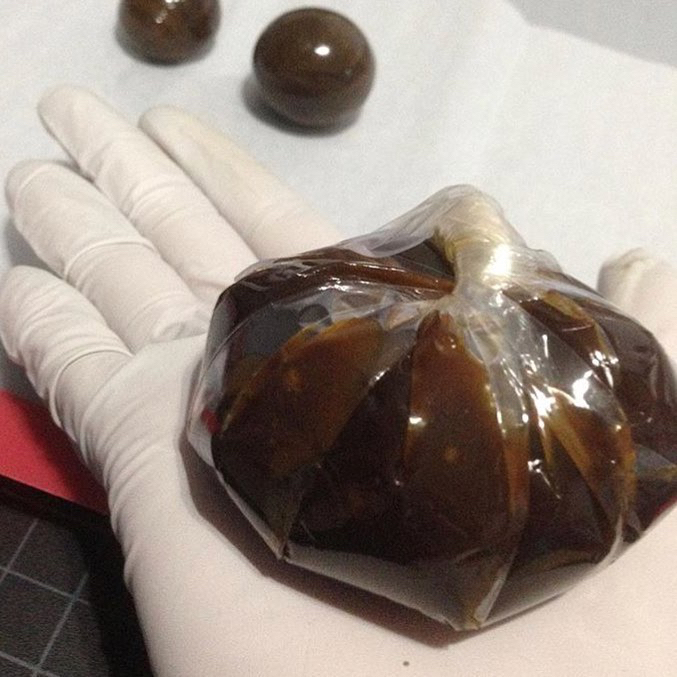 Perhaps, according to Frenchy, the most misunderstood process when it comes to hashish is the pressing and aging of cannabis resin. And, while hashish remains an uncommon form of cannabis consumption in the US, he believes this is due to lack of access and education. Despite this ingrained negative stigma attached to hash in the US, Frenchy believes that attitude is softening. 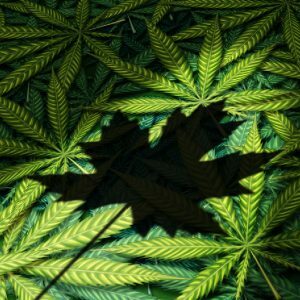 However, as the business of cannabis begins to boom in the USA and everyone starts to want a piece of the pot pie, Frenchy says that cannabis cultivators are still not being nurtured as a viable contributor to the economy.